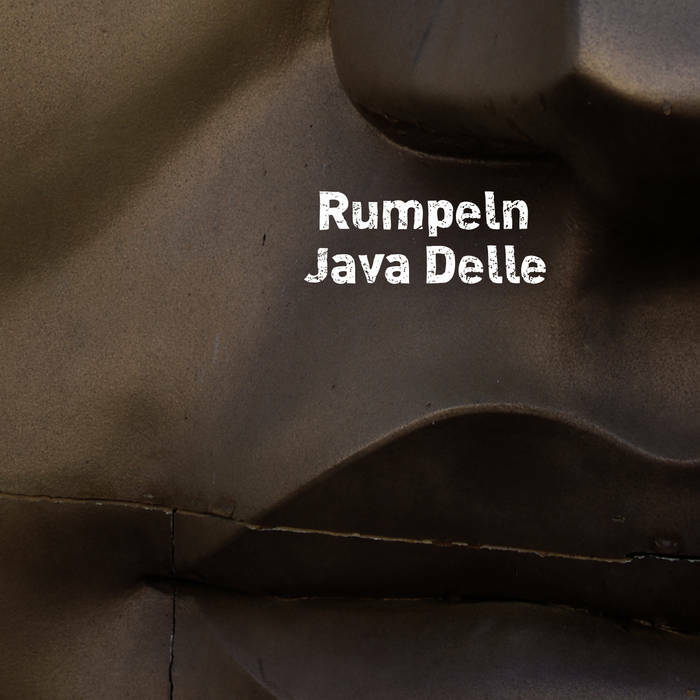 Rumpeln from Munich and Java Delle from Hamburg are among the most continuous practitioners of noise music in Germany. This album brings out the best of their iconoclastic, punk-inspired, and often weirdly humourous approach while offering a good insight into the nuances that are possible even within really harsh noisy material. Rumpeln’s 25-minute live set at the radioshow Difficult Music for Difficult People on Hamburg’s FSK radio station finds him in hectic mayhem mood. The following original track by Java Delle is an interesting combination of a distorted, but very rhythmic mid-tempo loop and muffled metallic field recordings. The short final track by Java Delle complements the whole set by gleefully sabotaging any communicative content in a sampled piece of speech, which is pretty much what noise as an art form is all about. In short, this split album does for the German noise scene what “Mer Mar” by Merzbow and Marhaug recently did for the international noise jet-set, but puts more emphasis on deep bass rumblings than screeching treble pitches.